This is the second in my series on the UFC’s different champions and their challengers. Here you can find my look at the welterweights the first in the series. In this one, I will look at Luke Rockhold, his top contenders, who will be wearing the belt at the end of the year, and a couple of possible future champions. Right now this is a weight class that has grown old at the top and ripe for a change amongst the contenders. So far though the younger fighters have stumbled when they try to break through. Currently, there are two 40-year old fighters and Vitor Belfort in the UFC’s top 15 compared to one fighter in their twenties. Surprisingly, Gegard Mousasi is one of the youngest fighters in the division at 30-years old but he has a lot of mileage on his body between his MMA and kickboxing careers. And, while Rockhold and Chris Weidman are only 31-years old respectively, they have struggled with injuries during their careers. This division is potentially entering a state of flux after many years of stability with Anderson Silva at the top. He was the champion from October of 2006 until July of 2013. Then Weidman held the belt until losing it to Rockhold in December of 2015. Is Rockhold poised to start his own long run at the top? Or, will it become a carousel of champions over the next few years? The UFC’s seventh middleweight champion. At 31-years old he is just one year older than Silva when he first won the title. At the moment, he is nearing the end of his prime years. That is the theory anyway but the theory is outdated and cannot be applied like a coat of paint to everyone. The truth is there are many factors beyond one’s age that determine an athlete’s prime. For a fighter, it is more about the number of fights and how much damage they received in those fights. Another factor is how their body responds to the training and fighting. For Rockhold, he has suffered a few injuries but has fought steadily throughout his career. He started back in 2007 and has fought 17 times since then going 15-2. One of the most important elements beyond the number of fights is what happens in them. Georges St-Pierre took 240 blows in his last four fights compared to the 248 he received in his previous 23 UFC fights. Similarly, Rockhold has taken little damage in his fights. Nine of his wins come in the first round and two more of them in the second. He has gone the distance twice and he finished Weidman in the fourth. His two losses also came in the first round. Yes, Rockhold has suffered some injuries but he has fought at least once a year since the start of his career. During the last two years, he fought five times. Factor in his ever-developing well-rounded skill set and he seems like he could be poised for a long run as champion. Rockhold’s basis is in the grappling arts but he has also proven to be a dangerous striker. As well as having the skills, Rockhold, knows how to blend them together in the heat of the fight. One of the best examples of this was his win over Lyoto Machida. In that fight, when the fight went to the ground in the first round, Rockhold did a lot of damage with his ground and pound. He looked for submissions but he did not focus on them like so many do in those moments. Instead, he maintained top position and hurt Machida. In the second round, Rockhold was able to submit the hurt Machida. It was a dominant and masterful performance, one that earned him his title shot against Weidman. After defeating Weidman in another dominant performance to take the title, Rockhold seems poised to embark on a long run. One big obstacle could be the man he beat to win the belt. If he can vanquish Weidman again he would be in a position to dominate for a few years. However, if Weidman wins we could have the beginning of a beautiful rivalry. After the first fight, we thought we knew that Rockhold was the better fighter especially after learning that he had not been able to train properly due to a staph infection. Then we learn that Weidman fought with a broken foot. In some ways we are back before they fought the first time with some of the same questions regarding who exactly is the better fighter. 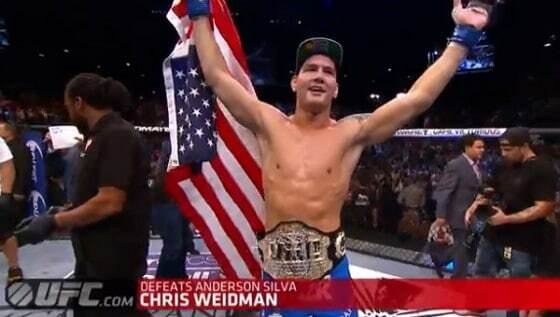 Weidman will always be the guy that ended Anderson Silva’s reign as UFC champion. His wins over the legends Lyoto Machida and Vitor Belfort were impressive but they revealed some possible flaws raising some questions to Weidman’s greatness. First, both Machida and Belfort are on the backside of their legendary careers. Weidman seemed to be very adept at defeating great fighters past their primes. His path to the title had been littered with less than noteworthy names. Two of the biggest ones do not even fight in the middleweight division anymore, Mark Munoz is retired and Demian Maia is now a welterweight. It could easily be interpreted that Weidman was fortunate enough to come along at the right time. The Machida and Belfort fights also revealed some potential weaknesses. In the Machida win, Weidman seemed to fade in the last two rounds of the fight and it was the older Machida who seemed to be ready for a sixth round. Against Belfort, we saw Weidman get rocked for a moment before recovering and stopping Belfort. Those moments also showed Weidman’s ability to come back from difficult situations and moments, to overcome things not going his way. It shows a strong will and mind. The kind of traits that are a part of being a champion. They also can lead to a fighter believing he can fight someone of the caliber of a Luke Rockhold with a broken foot. 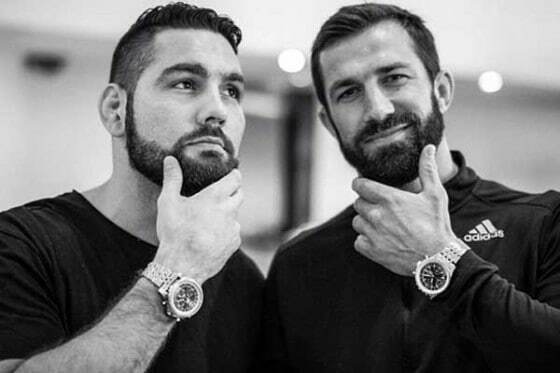 We are getting treated to one of those rare immediate rematches in the UFC when Rockhold and Weidman meet once again in the main event for UFC 199. This may surprise some but I was less than thrilled with the idea of this rematch. However, after the Unstoppable press conference, I have to admit I am a sucker for a fight between two guys who are talented and really do not like each other. 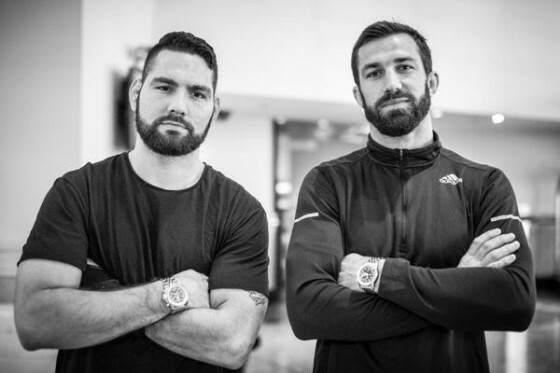 When I rewatch their first fight I am struck by how much quicker and explosive Rockhold is than Weidman. And, Weidman was not winning that fight before the spinning kick. He was starting to win the third round but it was still a close one. Two of the three judges had Rockhold up 2-0 going into the third round while the other had it 1-1. The injury element of this gives it enough of an unfinished business intrigue to make it interesting. They were both entertaining at the press conference and it should be a fun build up and fight. The winner will be the undisputed king, at least for a moment and the loser will have to win a couple of fights to get another shot at the title. There are several dangerous opponents waiting for both the winner and the loser. Some veterans looking for their last chance at UFC gold, and some rising talented stars looking to break through. Before Rockhold and Weidman meet at UFC 199 we get a long-awaited fight in Vitor Belfort versus Jacare Souza. A fight many thought would not happen including Vitor as Jacare was the one guy he never really called out. Which makes sense, Jacare is a dangerous nightmare for anyone in the middleweight division. His formidable submission game has been augmented by a powerful striking element as exemplified by his TKO/KO wins over Derek Brunson and Yushin Okami. When Jacare faced Yoel Romero, a former Olympic silver medalist in freestyle wrestling, Jacare was the one who scored the only takedown in that fight. If not for some questionable scoring in that fight with Romero it would likely be Jacare rematching with Rockhold. Since losing to Rockhold back in 2011 for the Strikeforce title, Jacare went on to win his next eight fights in a row until dropping the SD to Romero. The rematch with Rockhold has been a long time coming and Jacare is now just a win away from getting that shot. All he has to do is finish off Vitor at UFC 198 and he will be in position for a title shot. Provided Rockhold retains the title. If Weidman wins there are a lot of possible fights but if it is Rockhold it will come down to Michael Bisping and the winner of Jacare versus Vitor. 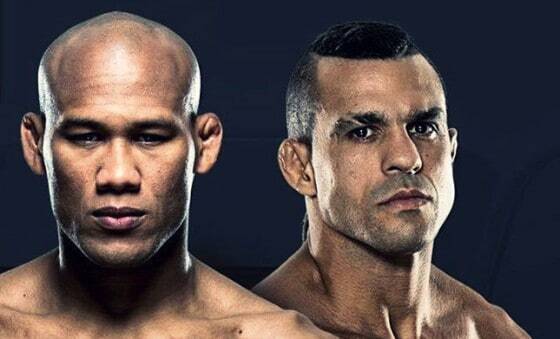 If TRT ever needs a face for their posters then Vitor Belfort should be that face. 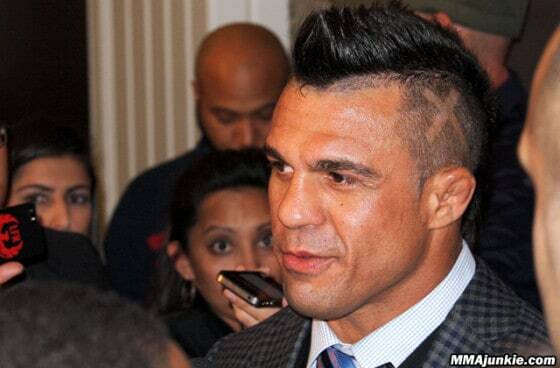 Specifically, 2013 Vitor Belfort because oh what a year 2013 was for the aging Vitor. In 2013, Vitor turned 35 years old and had over 30 fights on his record. Usually, at this point in a fighter’s career, they are slowing down and starting to win fights more through guile than athleticism, power, and explosiveness. Instead of a slower Vitor in 2013 we got a spinning Tazmanian Devil version of Vitor. He finished Bisping, Rockhold, and Henderson, all in the first round and won three straight Knockout of the Night bonuses. It is one of the most impressive stretches of any fighter in the UFC in one year. It did not seem real, and it was not completely as it was fueled by TRT. Vitor took all of 2014 off to allow his body to adjust. When he returned to action in 2015 Vitor challenged Weidman for the title and for a moment seemed poised to shock the MMA world once again as he rocked the champ. However, Weidman recovered and finished off the still dangerous old lion. After another finish of Henderson, one that said more about Henderson than Vitor, the old lion once again finds himself on the verge of another title shot. Especially if Rockhold retains the title. Rockhold has already asked for Vitor, he is hungry to taste that revenge. All Vitor has to do is get past the dangerous Jacare. While Jacare is only two years younger he has 10 fewer fights and less wear and tear. This is his fight to win. One he has to win if he wants to ever have a chance at the UFC title. Two losses in a row will put him behind the established contenders and some of the rising ones. Jacare should win this fight. He is the better overall fighter than Vitor right now but as we saw in the Weidman fight Vitor is still dangerous, still capable of rocking anybody. The question is does he have enough left to get the win? This is also Vitor’s last chance at a title. If he loses this fight then it will difficult for him to string together the type of wins he will need to get a title. The only chance he will have is with Rockhold as champion without any real contenders. This comes down to Jacare avoiding getting caught in the first round and if he really wants to make a statement – Jacare needs to get a finish. During his long UFC career, Michael Bisping has given the fans many memorable moments but the one thing missing from the career of the former TUF winner is a title shot. At this moment, he is considered by most to be the greatest UFC fighter to never fight for a title. A distinction that may change this year. 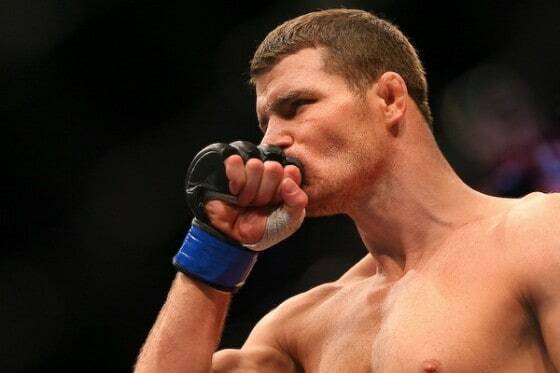 After Bisping’s win over Anderson Silva, it is hard to argue against him getting a title shot. Due in part that there is no clear title contender at the moment. Silva is Bisping’s biggest win to date. In the past, he has stumbled against the elite of the weight class. His seven losses in the UFC have been to either former champions or title contenders like Chael Sonnen and Tim Kennedy. More importantly in today’s UFC Bisping will sell the fight and his popular fighter with the fans. Right now he could easily get the winner of Rockhold versus Weidman but that all could change over after UFC 198. Both the Jacare versus Vitor fight and the Anderson Silva versus Uriah Hall fight could alter who gets the next chance at the title. Even if Bisping does not get the next chance at the title he could relax working his various UFC broadcasting gigs and fight for the title at the end of the year or early next year. If he wants to keep busy there is a fun interesting fight with Nick Diaz waiting for him if he wants. Currently, Bisping sits as the #4 middleweight in the division. He would be an underdog to all of the fighters ranked ahead of him except for Belfort. But, in MMA anyone can win on the right night as we have seen more and more. If Bisping gets the right matchup at the right time he could end up as the champ. 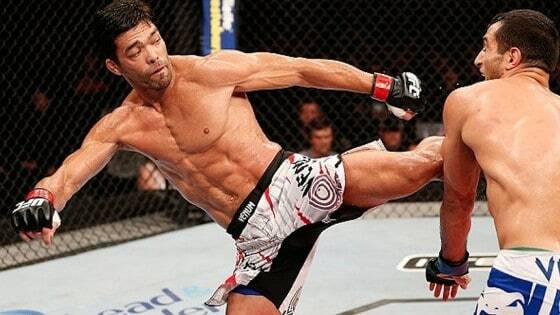 It was not until October of 2013 that Lyoto Machida made his middleweight debut in the UFC. Two quick wins found him challenging Weidman for the title. Machida dropped a close fight to the champ. One that left us wondering what would have happened if he had made this move down to middleweight sooner. Most certainly we would have gotten an all-time classic fight or two between him and his good friend Anderson Silva. It was because of his friendship with Silva that Machida stayed up at lightweight. If he had moved down to middleweight he would have been Silva’s toughest challenge. Certainly the best pure striker that Silva would have faced as champion. It was remarkable that as an undersized lightweight Machida was able to capture the title. At 37 years old his better fight days are behind him and Machida is currently on a two-fight losing streak. At this stage of his career fights against other legends like his upcoming fight with Dan Henderson. This should be a fun fight, hopefully, better than their first one. There is less at stake. No matter who wins this fight they are not getting a title shot. Machida is ranked seemingly close enough at five to be in the title discussions. But, he is coming into the fight with a 1-3 record in his last four fights, that two-fight losing streak, both of them finishes are not going to be turned around by a win over Henderson. Henderson, currently ranked 14th, enters the fight 1-3 in his last four fights, 2-6 going back eight and could easily be 1-7. Shogun Rua was winning their rematch until Henderson caught him in the third proving that he still has power if you give him the opening. The losses have shown that he is not the same fighter. The last three have been particularly harsh. First, he was rag-dolled by Daniel Cormier before being submitted. His next fight resulted in a first-round TKO loss to Gegard Mousasi. Then a non-TRT’d Vitor KO’d him in the first round. Any dreams of titles for either of these fighters are beyond their grasp and are just the stuff of their sleep or daydreams. They are both legends and we hope for a fun fight but neither are young enough to put together the kind of run needed to get a title shot. It is difficult for many fighters to walk away and legends are no different. In fact, they can be more stubborn about walking away. A strong belief in their own greatness is necessary to achieve it. 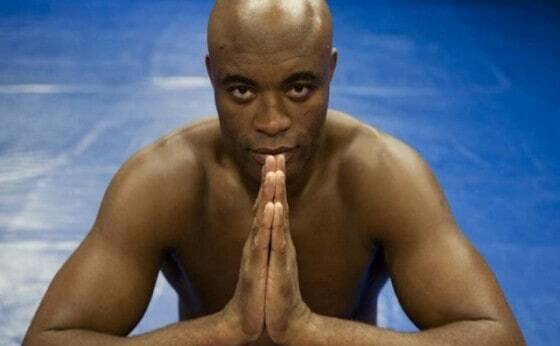 Anderson Silva will always be one of the greatest fighters in the sport, and the UFC. However, his championship days are gone. At this point in his career, Silva should be fighting the Dan Henderson’s of the UFC, not someone as explosive, powerful, and dangerous as Uriah Hall. Again, the winner of this fight is nowhere near a title shot but Hall could start a run. At only 31 years old he has some time to put together the right three to four-fight winning streak. A finish of Silva would be a good start. Especially if Bisping is in the title discussion because of his win over Silva. If Hall could get a finish it would put him into the background of the title discussion. And, I think he can and will get the stoppage. Silva looked like a poorly aging fighter in his loss to Bisping. His style is one of beauty built around his ability to use his reactions, quickness and timing to land a pinpoint perfect strike. At his best, in his prime, Silva produced some of the most stunning highlight reel KO’s including his front kick finish of Belfort. When Silva landed a front kick to Bisping it showed why he is not the same fighter. I saw him try to use it as showing that he still has it. Instead, it shows how is timing, reactions, and speed are not the same. Against Belfort, the kick landed mid-extension and drove through Belfort’s face. It had the power to end the fight. The one against Bisping landed at the end of the kick with enough power to slightly stun but not enough to stop Bisping. This is a bad matchup for Silva and a dangerous one but you never know with Hall. In his most recent loss to Robert Whittaker, the nice guy Hall fought a fairly passive first two rounds. Looking to counter strike and allowing Whittaker to be the aggressor. In the third he was the aggressor and had his most competitive round of the fight. If he fights Silva like that third round against Whittaker he will finish Silva. People have been waiting for Hall to arrive since that spinning kick on TUF. Throughout his time on TUF and in the UFC Hall has shown flashes of incredible potential besides just the kick. Yet, he has not been able to put everything together. If Hall could find the right level of aggression he would be a beast and a true title contender. A win over Silva could start him on that path. It is a good matchup for him but he cannot passively sit back and wait for Silva. Hall has to find some aggression and use his speed advantage. Currently, Silva and Hall are more tests for other middleweights than true title contenders. It is unlikely that Silva can put together another run to the title but Hall could start one with a win here. Right now it is easy to see why Dana White and others feel that Robert Whittaker is the future of the middleweight division. Currently, Whittaker is ranked seventh, is riding a three-fight winning streak in the division, and is only 25-years old. In a division populated by aging fighters, the young Whittaker stands out. A win over Rafael Natal at UFC 197 would put him within one or two fights of a middleweight title shot. This is after a rocky start to his UFC career. Whittaker entered the UFC as welterweight winning the TUF Smashes season at that weight class. Whittaker went 3-2 to start his UFC career before moving up to middleweight. At first, this seemed like an odd move. Whittaker was a large welterweight but not huge one and it is rare to see someone move up a weight class after TUF. Generally, fighters move down. The nature of the show means they have to cut weight several times in a short period of time. This means that they have to be able to easily make the weight cut. When Whittaker fought Clint Hester for his first middleweight fight Dan Hardy informed us that Whittaker had been cutting down to welterweight from over 200 pounds. Even so, he looked smaller than Hester. However, his power was bigger, much bigger than Hester’s. That was the strange thing is not only did his power come with him from the welterweight class but it actually seemed to increase at middleweight. After stopping Hester, he then finished Brad Tavares and took a hard-fought UD over Hall. Suddenly, the not-so-small Whittaker finds himself as one of the UFC’s rising young stars. Looks can be deceptive. In that first fight at middleweight against Hester, it looked like at the beginning of the fight that Whittaker might have made a mistake moving up from welterweight. Hester looked like he was in another weight class but Whittaker is bigger than he appears. See, Whittaker is dense with large calves and thighs. Again, not huge but large. They do not jump out at you but they are the source of some of his weight and his power. The size of the calves give, his kicks added impact and power. That is augmented by his thighs, hips and core. That core also allows him to generate power with his hands. The elements that make Whittaker so dangerous as a striker goes beyond just having some power. Whittaker is an accurate striker, a balanced one, one who attacks at all levels, and with all weapons. For a young fighter, he has shown good head movement, footwork and manages distance extremely well. Whittaker also has a great chin. He ate a spinning elbow from Hester like it was his favorite dessert. He adapts his attacks based on his opponents and has shown good grappling skills. All of this is centered around a very aggressive style. This upcoming fight with Natal is a perfect test for him. Natal is looking the best he has looked in his UFC career. He is also the best and most dangerous grappler that Whittaker has faced to date in the UFC. Coming into this fight Natal is riding his own four-fight winning streak. A win over Whittaker would put Natal into the title talk. It would take Natal a couple more wins to get him near a title shot and I do not think he is a true contender. Natal is tough, a great grappler with a developing striking game and he is a fighter that a true title contender should defeat. Natal could give Whittaker some problems on the ground if he is able to get it there. It is more likely that he gets KO’d. When Natal fought Hall he would attack with some big wide punches behind some strong leg kicks. Hall often just retreated and angled off. This is one of the differences between Whittaker and Hall. When Whittaker backs up he continues to throw strikes while moving and he looks to plant and catch his opponent coming in. It shows that even when retreating Whittaker can still attack. I like Whittaker to catch Natal early and get the win in the first round. After this win, Whittaker will be in line for a bigger name and a tougher test. One that will get him closer to a title shot. It has not been officially added to the UFC’s site yet but #8 Gegard Mousasi and #11 Derek Brunson are going to meet at UFC 200. 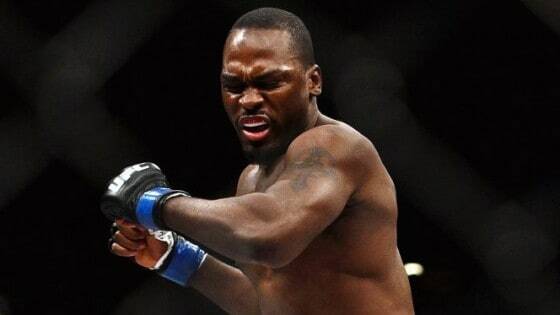 Brunson is coming in on a four-fight winning streak with the last three via first round stoppages. Overall, Brunson is 6-1 in the UFC. A win over Mousasi would get him within a win or two of a title shot. It is only a mistake against Yoel Romero in the third round of their fight that prevents him from being 7-0 in the UFC. Brunson was winning that fight after two rounds but as Nate Diaz pointed out winning a round or two is not winning the fight. The loss to Romero showed Brunson and everyone else that he could compete with fighters at the top of the division. A win over Mousasi would put him on the fringes of the title picture. Brunson would still need at least one more and likely two more wins to get that title shot. For Mousasi, a win over Brunson would give him only his second two-fight winning streak in the UFC. He has gone 4-3 overall the UFC and failed to really find his was way in the octagon. Still, a couple of wins and he could get a title shot. This is a perfect fight and matchup for each fighter. Pass this test and stay relevant in the middleweight division on the fringes of title contender-ship. Lose this fight and start to slide out to the fringes of the top 15. The above are the true contenders with the exception of Yoel Romero. Right now we are still awaiting word on his suspension. If he misses any significant time then he will have to win at least one if not two fights to get a title shot. If he is reinstated soon then he could be in position for a title shot. It could even be his next fight. Right now no one knows what is happening with his case. As a fighter, he is at that point in his career when all of the sudden a fighter can become old in one fight. It has not happened yet but he is 38-years old. Also, his style is based around his explosiveness and that is not a skill that ages well. It is difficult to see anyone else emerging as a title contender in the next year or two. Possibly a Thiago Santos, a Vitor Miranda or an Elias Theodorou (pictured) can put together a run. Of those three Theodorou might have the brightest future even though he lost to Santos this past December. 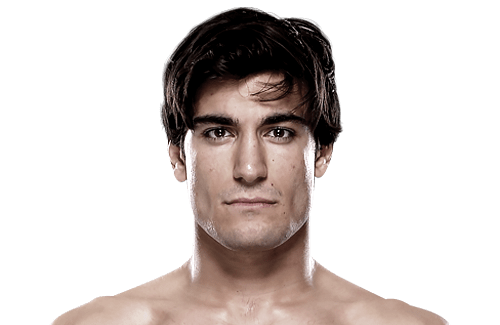 Theodorou is only 27-years old which makes him one of the few UFC middleweights under 30. The loss to Santos was the first in his professional career. How he responds in his next few fights will tell us whether or not he is a contender. He has shown the right attitude we just have to see how that translates to success in the octagon. Luke Rockhold could be poised to go on a long title run or we could have a new champion by the end of the year. By the end of UFC 200, we will have a much better idea of where the current contenders stand in regards to one another.